So I used up a bunch of Macadamia hair product samples and like to give my quick opinion on these. 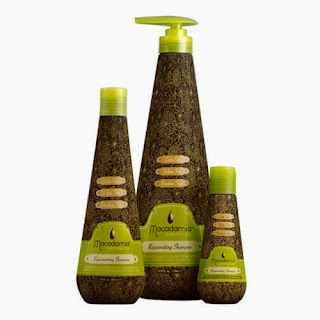 Macadamia Professional products contain a blend of Macadamia and Argan oils, rich in Omega 7, 5, 3 and 9 fatty acids, which deeply nourish and repair hair from the inside out, rather than just conditioning from the surface, to renew hair’s natural texture. Macadamia products are cruelty free! Macadamia Rejuvenating Shampoo: I found the Shampoo smells exactly like a dark natural honey and even looks like it. For a sulfate free product I thought it still lathers nicely and my hair felt clean. I really enjoyed it! THIS IS A HIT FOR ME! 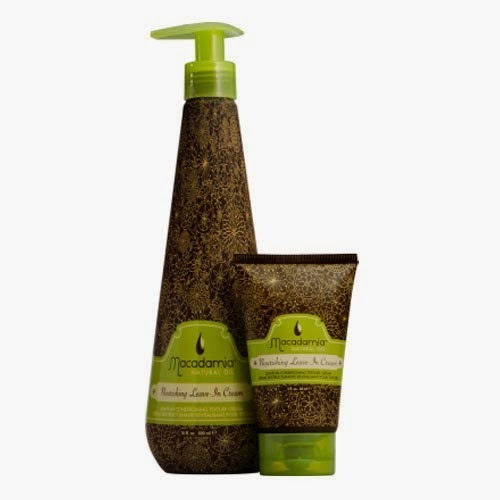 Macadamia Moisturizing Rinse: To my surprise I did not like this conditioner AT ALL! Even though it smells also nice and sweet and fruity- it did not do a good job in moisturizing my hair! My hair fell not conditioned and not soft and I had to use a different conditioner after this so I could brush through my hot mess of hair! THIS IS A MISS FOR ME! 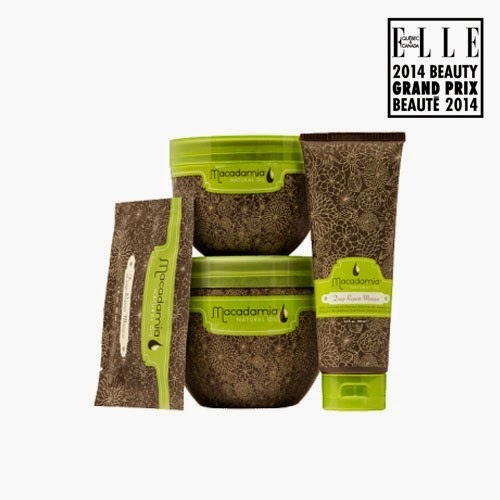 Macadamia Deep Repair Masque: This is probably the product most have tried already. I love this masque. 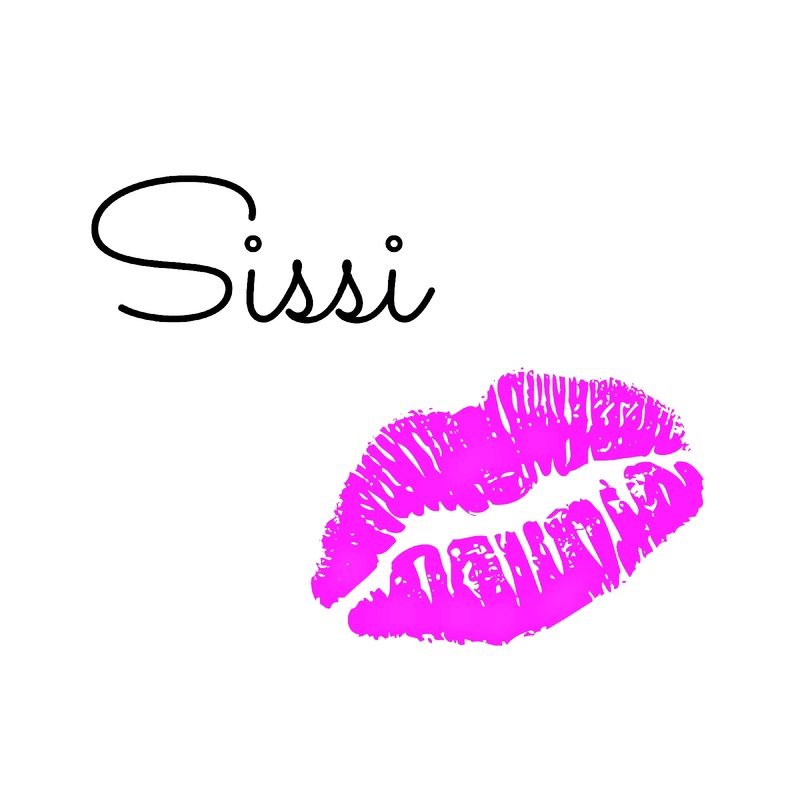 It smells beautiful fruity and makes my hair wonderful soft! I am happy to see that it comes now also in a hygienic tube packaging (the jar packaging is too messy in my opinion). THIS IS A ABSOLUTE HIT FOR ME! Macadamia Nourishing Leave- in cream: This is a very nice cream to leave in your hair that helps against my frizz. It smells nice sweet but fresh. THIS IS A HIT FOR ME! I used the Shampoo, the Masque and the Nourishing Leave-in cream on this day. Macadamia Reviving Curl Cream: This smells very fruity. It is for curly hair and I admit: my hair looked more curly and had a lot of volume. It helps to keep curls all day but what I did not like was how my hair felt: it felt almost like I sprayed it with hairspray- very stiff and hard. I guess that consistency makes the curls hold. 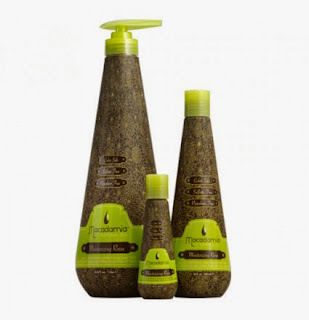 I AM TORN WITH THIS ONE- GREAT IF YOU LIKE CURLS BUT EXPECT YOUR HAIR TO FEEL STIFF! I used the Shampoo, the Masque and the Reviving Curl Cream on this day. 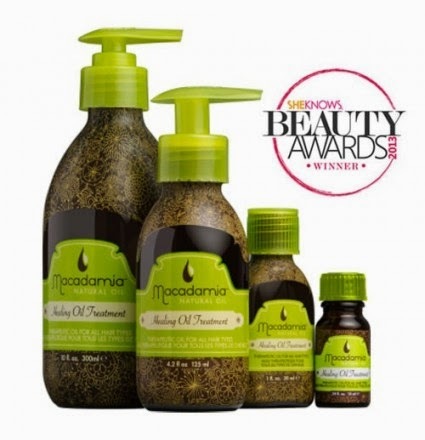 Macadamia Healing Oil Treatment: I always like to use a tiny drop of oil on my longer dry ends to give my hair some shine. The oil feels very nice and light weight- not greasy- more like a oil- gel mix. But what I could not stand was: the smell! It really smells very old fashioned and not at all like all the other Macadamia products. What comes to my mind when I try to describe the scent is an heavy old grandmas perfume! For this reason alone THIS IS A MISS FOR ME! BTW: You get at the moment FREE SHIPPING ON EVERYTHING AT TARGET! MACADAMIA PRODUCTS ARE RIGHT NOW ON SALE AT HAUTELOOK! What products from Macadamia have you tried?